News Going to Bournemouth 7s? Use Our Posh Loos! Going to Bournemouth 7s? Use Our Posh Loos! Take a look at our posh loos option at Bournemouth 7s this year. We are excited to be supplying Bournemouth 7s again this year. Upon the success of last year, we have developed and designed a posh loos section especially for the Bournemouth 7s festival. The posh loos will offer an alternative to the main festival loos, offering guaranteed clean and fresh smelling luxury toilets. The toilets will be open from 11AM to 1AM. These high quality, clean toilets will be a haven for those who would like to get away from the hustle and bustle of the main loos and give you the sanctuary of being at home whilst enjoying the festival! Why Use Our Posh Loos? Bournemouth 7s takes place on the second May Bank Holiday, which falls on the 25th, 26th and 27th of May 2018. With 12 festival arenas, 400 sports teams and 40 live acts and DJs. The festival is famed for the unique manner in which it combines sport, music and a festival atmosphere, with more than 30,000 visitors. 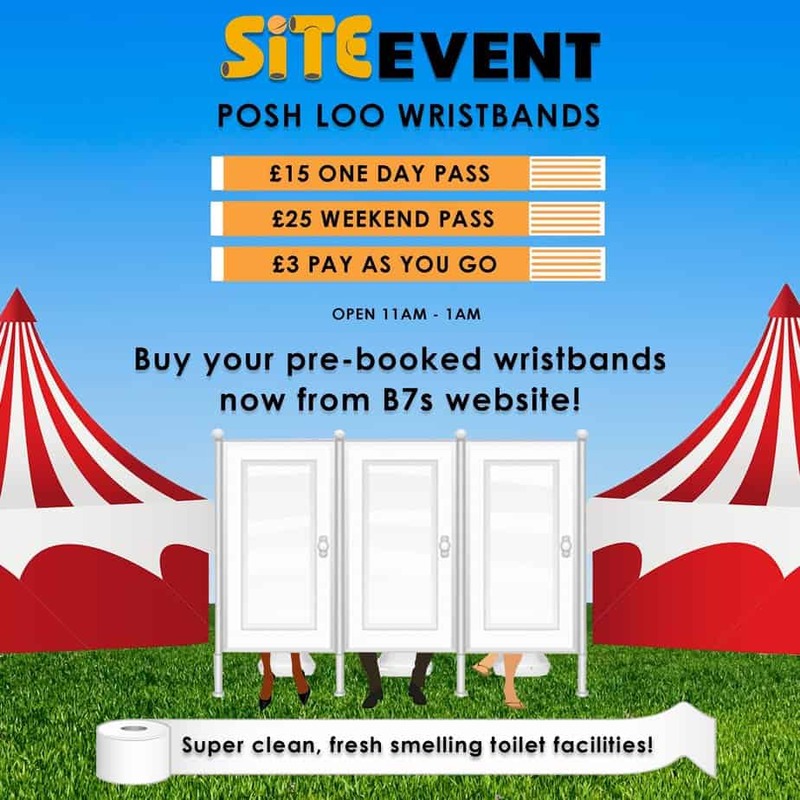 Wristbands are on sale now for the posh loos on the Bournemouth 7s website. £15 for a one day pass or £25 for a weekend pass. Alternatively, it is £3 pay as you go on the day.